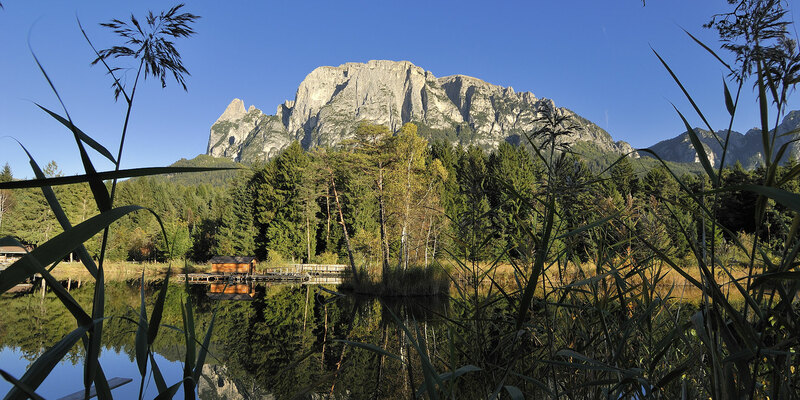 In summer, you can discover the sunny and wonderful natural landscape of the Dolomites during a hike along the many hiking trails, or have a swim in Völser Weiher lake, hike up to Plattkofel or Schlern Mountain to enjoy the 360° panoramic view of the entire Schlern area. 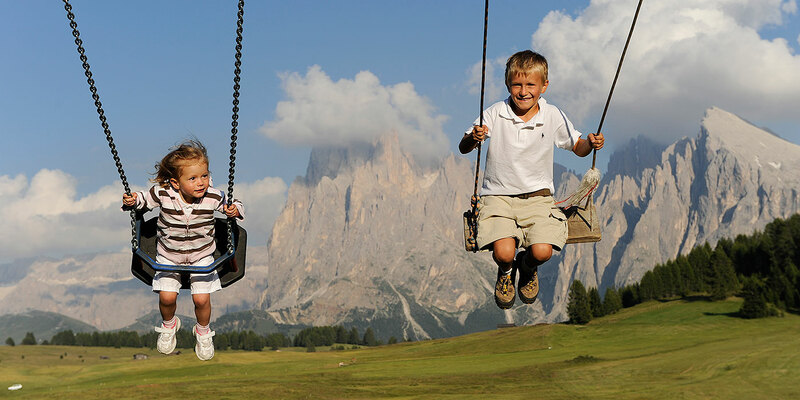 Seiser Alm and the Dolomites offer all levels of difficulty for hikers, be it for those aiming to reach the summit or those looking for a comfortable family hike on the high-alpine pasture. The Puflatsch round trail leading to the "Hexenbänke" (witches benches) is a beautiful hike with unforgettable viewpoints. Kompatsch, the starting point for this hike, can be easily reached with the Seiser Alm cable cars in close proximity to the Apartments Nussbaumer (10 min. walk): During every hike on Europe's highest alpine pasture with the villages Seis am Schlern and Völs am Schlern, Kastelruth, and Tiers am Rosengarten, you'll enjoy unique views of the Dolomites. 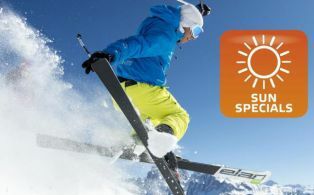 Enjoy the fresh mountain air of the South Tyrolean mountains in summer, forget about the hustle and bustle of everyday life, and regain new energy. 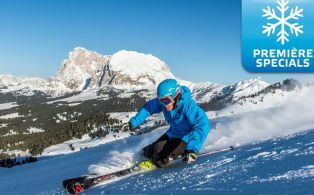 Numerous sports activities drive the pulse of every athlete in the Dolomites. 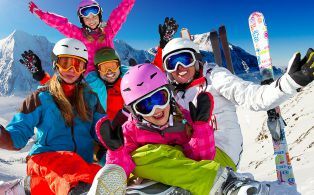 Try hiking a secured fixed-rope climbing trail in the Schlern area, enjoy a mountain-bike tour through the Dolomites, or have a go on the 18-hole golf course in Seis am Schlern, an extra beautiful golf course in South Tyrol. 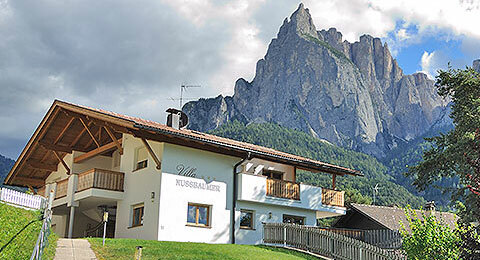 Take advantage of the rare experience to play golf amidst the wonderful Dolomite scenery. 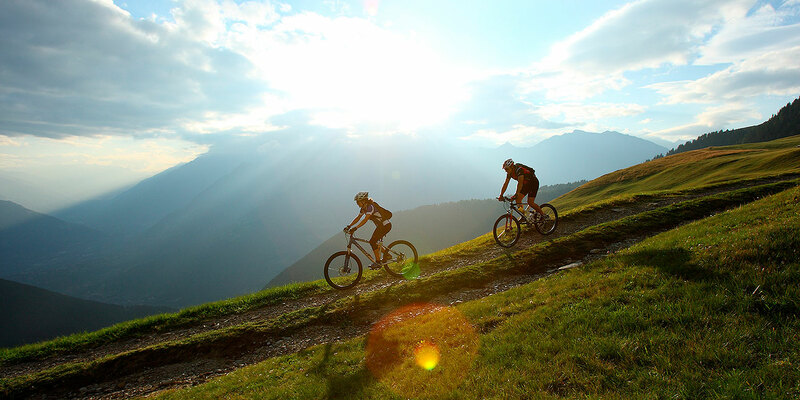 Special highlights await mountain-bikers in the Schlern area: 33 routes, 1,000 km tour network and 35,000 m of difference in altitude await you when discovering Seiser Alm in the Dolomites on a bike. 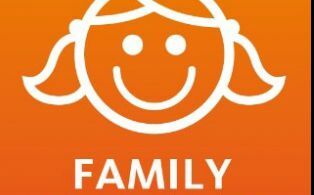 The different tours include everything from demanding trails for MTB professionals, and easy cycling excursions for those who are less fit and for families. Maybe you would like to try horse riding? Horse riding on Seiser Alm at the foot of Schlern Mountain guarantees special memories for old and young alike! Those interested in culture can visit the many churches in quiet fields in Roman-Gothic style, and ruins such as Hauenstein Castle, Salegg and Aicha or visit Prösels Castel and Trostburg Castle. 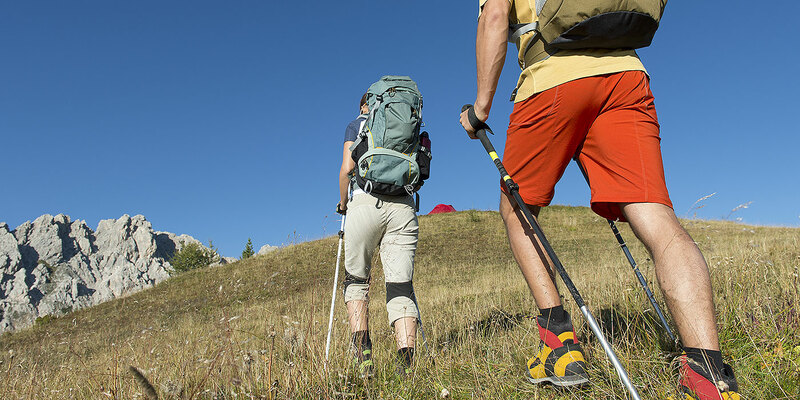 Why wait – enjoy an unforgettable hike on Seiser Alm, Rosengarten or on one of the many beautiful hiking trails in the Dolomites and in South Tyrol! 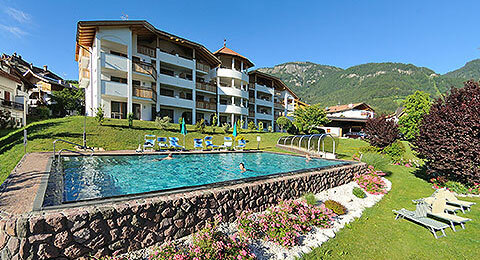 Residence Nussbaumer provides the ideal starting point for varied activities during every season of the year!